I'm back with more Blue-Eyed Girl Lacquer swatches as promised. Today's swatches are from the We Saw the Stars collection which is unfortunately no longer available. Maybe if you ask Julie really nicely, she might bring back some of your favorites. I originally intended this to be posted last Friday, but we had a massive storm that blew several transformers in our area. The power went out early Friday morning, and didn't get restored until the wee hours of Saturday morning. 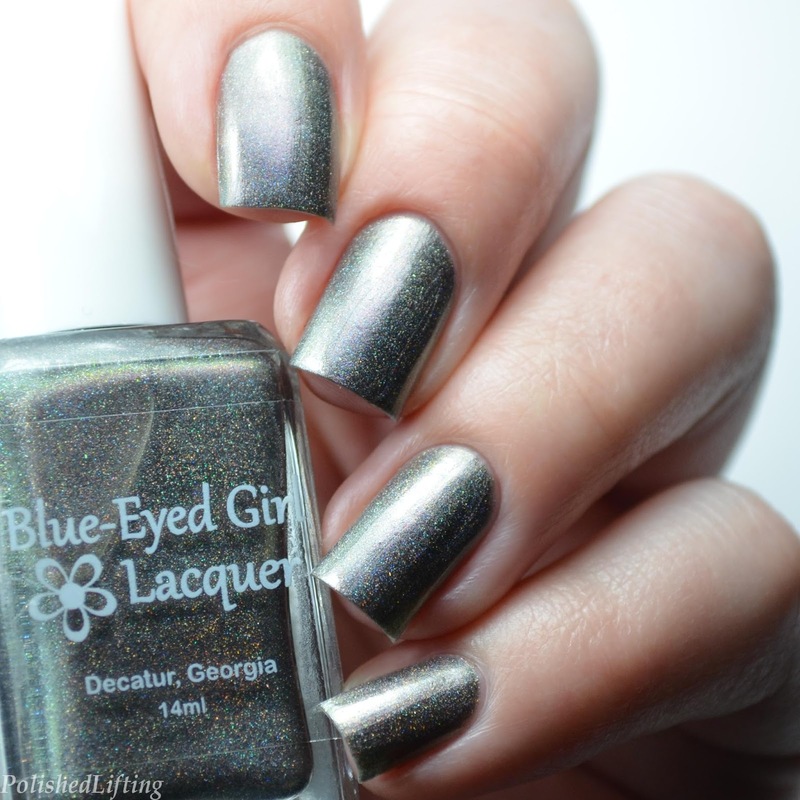 Without further ado here's a partial review of Blue-Eyed Girl Lacquer We Saw the Stars. Notes: Aren't you just in love with those flakies? They are so perfect with this periwinkle! 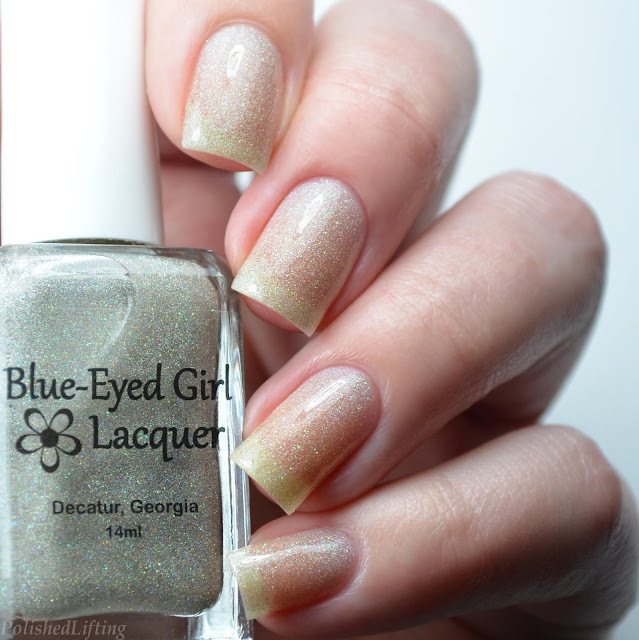 Notes: This is one of my favorite shades from this collection. 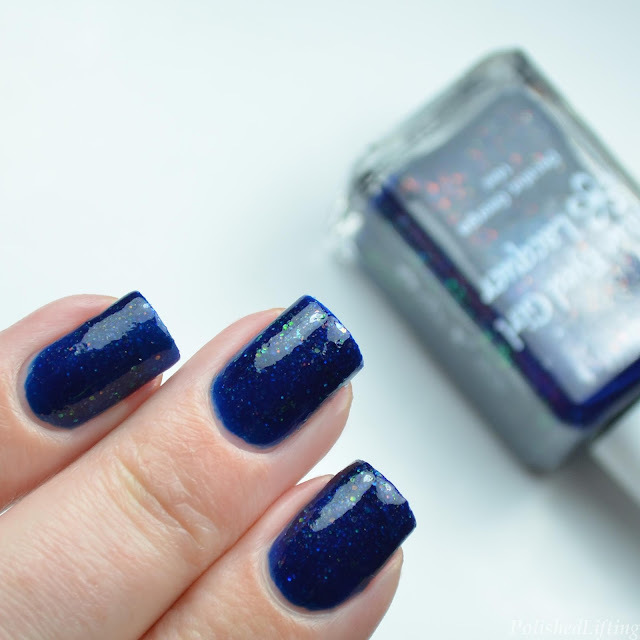 The shifty glitter paired with the dark navy base creates a lovely, squishy look. Notes: I don't even have words for this. I love everything in the gray/charcoal family, but this is a step above the rest. 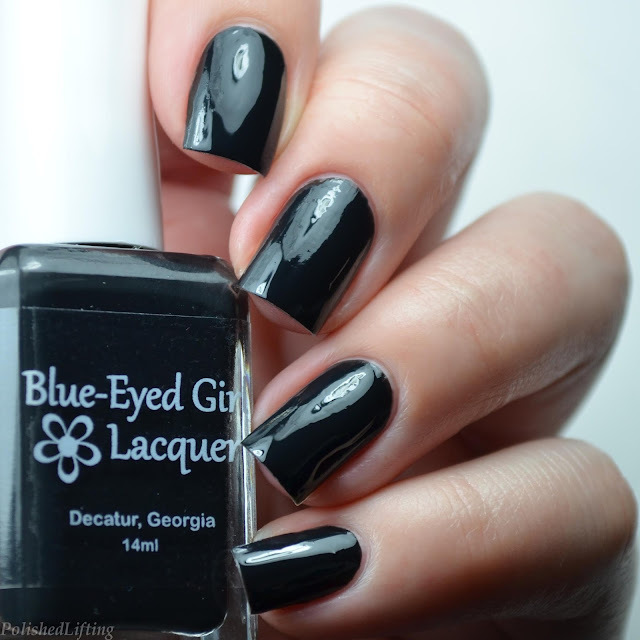 Keep an eye out for some nail art using this shade in the near future. 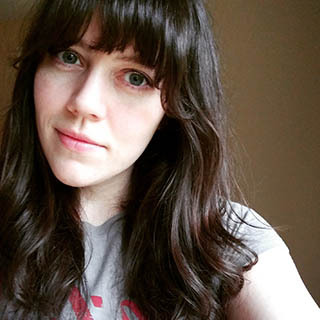 Notes: Hello green! I adore this shade. I do wish that it was a little more opaque, but I could always wear it over white or another green. The flakies and shimmer are freaking fab! Notes: This rich creme applies beautifully. I have a hunch that it will stamp too. Notes: This is pretty on its own, but it would also look lovely over just about anything. 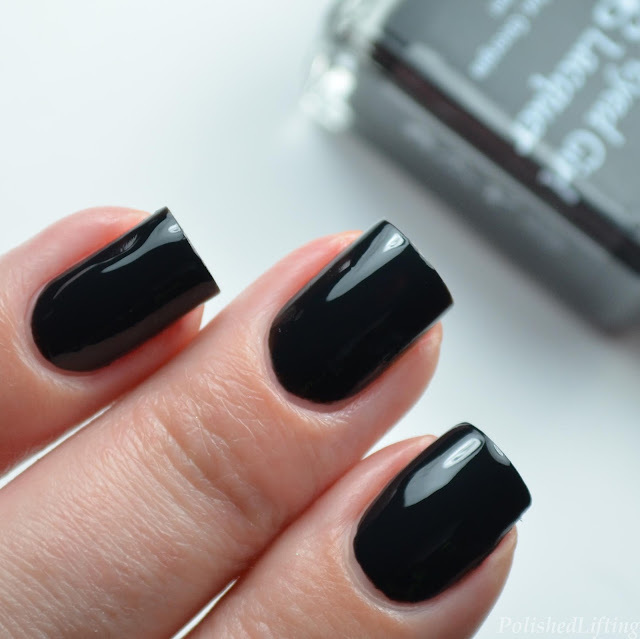 Notes: This gorgeous off black creme is a one coater, which is a huge deal for me. It also stamps like a champ! I will have a demo of its stamping abilities in the near future. 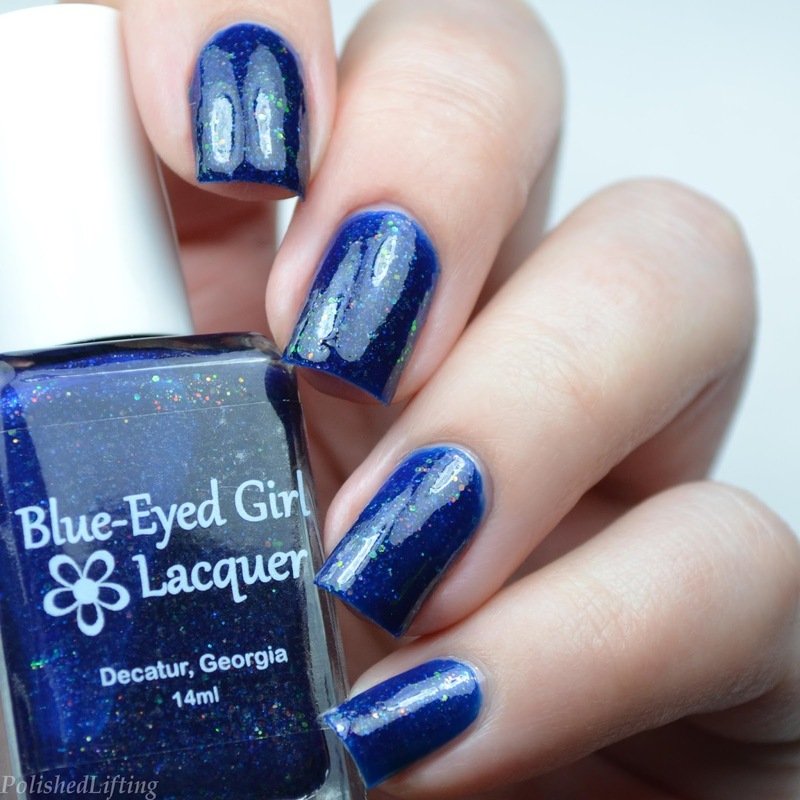 This collection is no longer available, but there are a ton of gorgeous shades currently in stock on the Blue-Eyed Girl Lacquer website. Check out the links below to view other shades and shop her current listings. If you enjoyed this post you might like Blue-Eyed Girl Lacquer Atlanta Indie Shop Exclusive, Siren's Fever Dream & Flaming Fields and B Polished Lethe.